KABUL: At a meeting held at The Gul Khana Palace, a number of the country’s elders and representatives of political parties discussed issues related to peace and security and called the Islamic world’s support to the Afghan peace process and national and political consensus, very important, according to a statement from The Presidential Press Office. They called the president’s temporary cease-fire initiative and its extension bravely and hoped the lessons learned from the cease-fire could help restore lasting peace in the country, according to the statement. 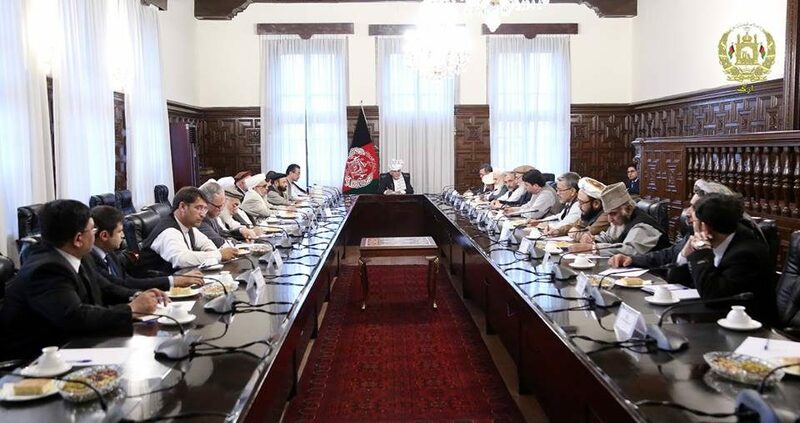 Meanwhile, the president thanked the elders and political leaders for their support to his cease-fire with the Taliban and asked them to provide specific plan and share with him in this field, said the statement adding consultation would continue with the people of different stratum, particularly the political parties.